Find out more about the Lorex 4K Ultra HD 8MP IP Nocturnal Camera with pricing, features, and frequently asked questions. The Lorex 4K Ultra HD 8MP IP Nocturnal Camera is a Lorex security camera with long range night vision and a durable exterior for indoor or outdoor use. Remotely adjustable 102-39° field of view. Pros: Can view up to 250 feet at night. Remotely adjustable field of view. Cons: Compatible Lorex software is very basic. Bottomline: An affordable high definition camera with versatile viewing options. You can purchase the Lorex 4K Ultra HD 8MP IP Nocturnal Camera (LNB8963B) on Amazon or on the Lorex website. Yes, the Lorex 4K Ultra HD 8MP IP Nocturnal Camera has night vision that can see up to 250 feet. 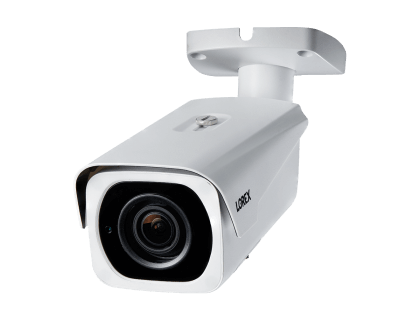 Yes, the camera is designed for indoor and outdoor use and can operate in temperatures between -30°C and 60°C, or -22°F and 120°F.